We are going to have a few specials for spring starting in March. Looking for ideas of what you would take advantage of. We will have the lowest prices in the country on Ford Racing engines, longblocks and shortblocks for CMC member only. Will not be able to advertise these! We have 3 2015-2017 Mustang GT Supercharger Kits at an unbelievably low price! Stay tuned! All of the above specials are for CMC members only! Just talked to you guys today and will be scheduling this next week! FYI, picked up my GT with the Roush Setup installed from Sutton a few days ago. Tech was great, service department was great, install is super clean and teh car is awesome! Thank you for the kind words! Glad to hear you are help, Enjoy! 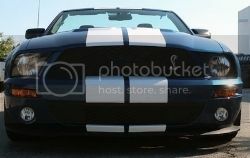 any deals for a 2013 GT ?